I'm here to share some easy DIY treatments for glowing Skin. Pollution, stress, work, study… there are 100 reasons you should take a little bit of time to pamper your skin. 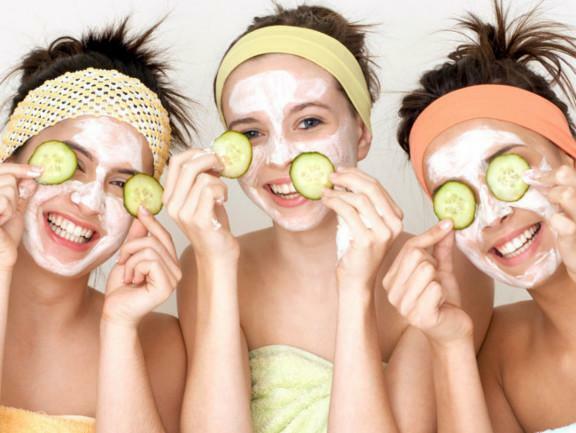 Here for you are 3 easy DIY treatments for glowing skin to get you started. Papaya and banana are skin softeners, they brighten skin during dull weather. This mix will give you the glow you deserve and is a gentle and natural way to exfoliate and get rid of dead skin cells accumulated during the week. Sugar scrubs off the dirt and makeup or whatever is on your face. Coconut, full of Vitamin-E, is a great skin softener. It is essential for healthy skin growth, repair of wear and tears and keeps it smooth. 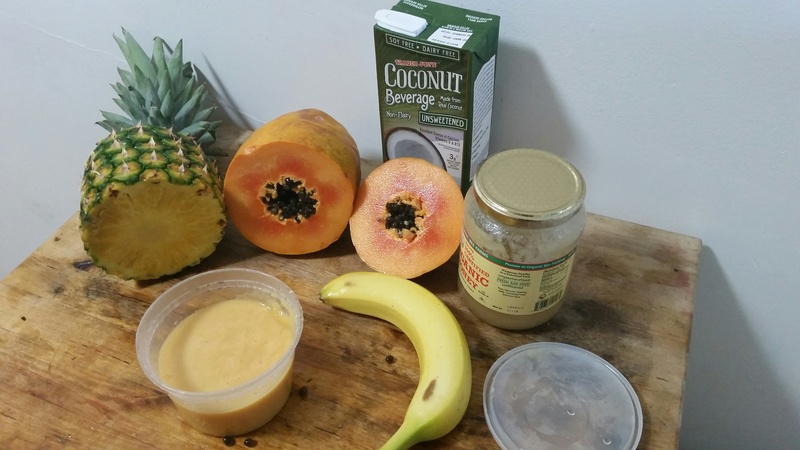 Blend or mash up the banana and papaya and add the sugar or salt with the coconut flakes powder, the coconut oil and fruit puree. Mix well and place into a jar, you can keep it in the fridge for 3 days. Use this scrub to exfoliate two times a week. Kaolin clay is an affordable clay suitable for sensitive and all type of skin. It stimulates circulation to the skin, while gently exfoliating and cleansing it. Greek yogurt reduces fine lines and wrinkles from forming when used in an anti-aging face mask. The lactic acid in yogurt will help dissolve dead skin, tighten pores and acts as a moisturizer. 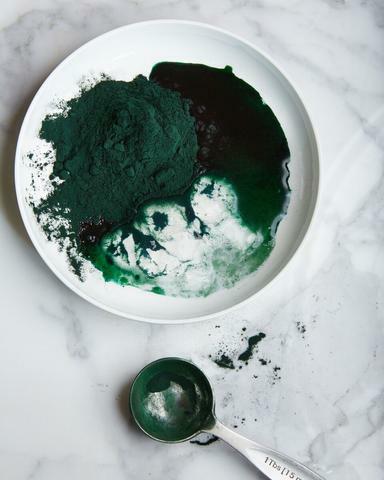 Spirulina has a high content of vitamin A, vitamin B-12, vitamin E, calcium, iron, and phosphorus, all of which are vital for your skin’s health. A drop of your favorite carrier oil (jojoba, olive, sesame…) to enhance the structure. Add to a bowl one by one all of the ingredients. Then, clean your face and gently apply the mask with a paintbrush. Don’t put the whole mask on, as you will need to put new layers on every 5 five minutes to keep it muggy. Wait for 15 minutes. Take off the mask. As you've just cleaned your pores, your natural defenses are weak so don’t forget to put on a classic moisturizing cream to follow it up. Charcoal is made of coconut shells and is a teeth whitener among all the miracles it does, e.g: save your life during food poisoning! Kaolin clay is a 100% natural way to remineralize your teeth, the same goes for the bicarbonate! Mix all ingredients in a pot and it's ready! Dip a clean, wet toothbrush into the powder. Then, this tooth powder transforms itself to gentle milk in contact with your saliva. Brush gently in circular motions for two minutes and rinse well. 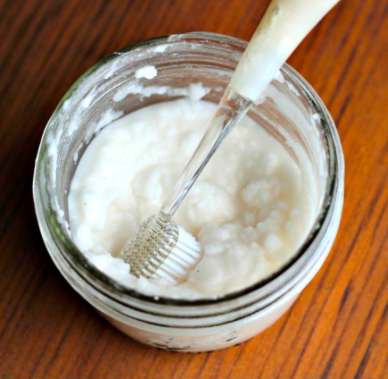 Use this tooth powder two to three times a week.